A policy of deliberate ambiguity is the practice by a country of being intentionally ambiguous on certain aspects of its foreign policy. It may be useful if the country has contrary foreign and domestic policy goals or if it wants to take advantage of risk aversion to abet a deterrence strategy. Such a policy can be very risky as it may cause misinterpretation of a nation's intentions, leading to actions that contradict that nation's wishes. 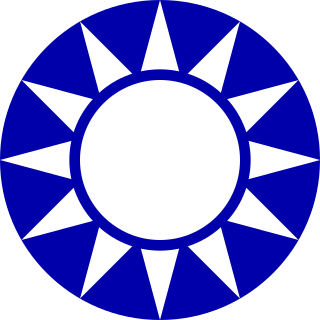 The Kuomintang of China is a major political party in the Republic of China on Taiwan, based in Taipei and is currently an opposition political party in the Legislative Yuan. 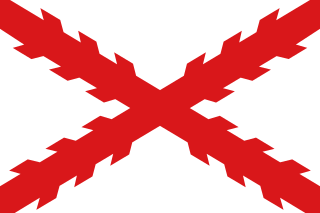 Spanish Formosa was a small Spanish colony established in the northern tip of the island known to Europeans at the time as Formosa from 1626 to 1642. 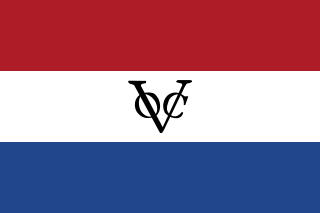 It was conquered by the Dutch in the Eighty Years War. The United Nations General Assembly Resolution 2758 was passed in response to the United Nations General Assembly Resolution 1668 that required any change in China's representation in the UN be determined by a two-thirds vote referring to Article 18 of the UN Charter. The resolution, passed on 25 October 1971, recognized the People's Republic of China (PRC) as "the only legitimate representative of China to the United Nations" and removed the collective representatives of Chiang Kai-shek and the Republic of China from the United Nations. The International Olympic Committee (IOC), had informally been using in international Olympic activities a number of names to differentiate the ROC from the PRC. "Taiwan" was used at the Tokyo Games. 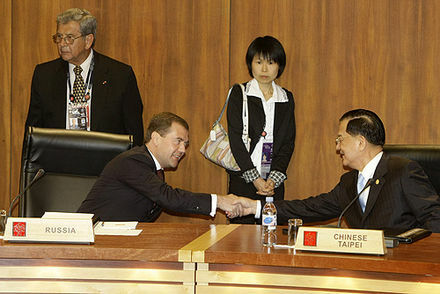 In 1979, the PRC agreed to participate in IOC activities if the Republic of China was referred to as "Chinese Taipei". The Nagoya Resolution sanctioned that the Beijing Olympic Committee would be called the "Chinese Olympic Committee" and another name would need to be found for the ROC Olympic Committee (ROCOC). The Chinese Olympic Committee has been the officially designated body of the People's Republic of China (PRC) regarding the Olympic Games and other affiliated international sport federations since 1979, when the Nagoya Resolution was adopted by the International Olympic Committee (IOC). The name "Chinese Taipei" was formally accepted by the Government of the Republic of China in 1981. A flag bearing the emblem of its Olympic Committee against a white background as the Chinese Taipei Olympic flag was confirmed in January 1981. The agreement was signed March 23 in Lausanne by Shen Chia-ming, the President of Chinese Taipei Olympic Committee, and Juan Antonio Samaranch, the President of the IOC. 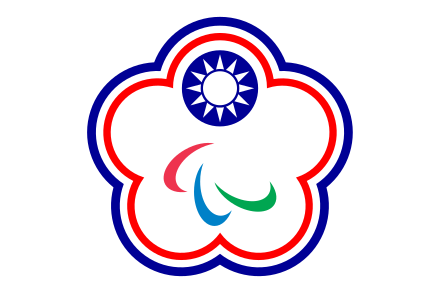 In 1983, the National Flag Anthem of the Republic of China was chosen as the anthem of the Chinese Taipei delegation. 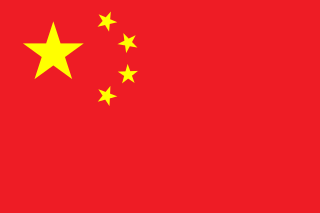 The Republic of China has competed under this flag and name exclusively at each Games since the 1984 Winter Olympics, as well as at the Paralympics and at other international events (with the Olympic rings replaced by a symbol appropriate to the event). 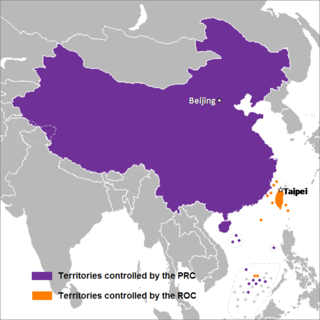 Both the Republic of China (ROC) and the People's Republic of China (PRC) agree to use the English name "Chinese Taipei". This is possible because of the ambiguity of the English word "Chinese", which may mean either the state or the culture. In 1979, the International Olympic Committee passed a resolution in Nagoya, Japan, restoring the rights of the Chinese Olympic Committee within the IOC, meanwhile renaming the Taipei-based Olympic Committee "Chinese Taipei Olympic Committee". 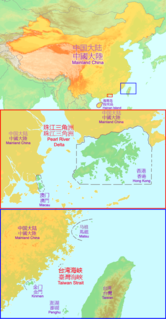 Since then, and until 1989 the PRC translated "Chinese Taipei" as "Zhongguo Taipei" (simplified Chinese :中国台北; traditional Chinese :中國臺北; pinyin :Zhōngguó Táiběi), similar to "Zhongguo Hong Kong", connoting that Taipei is a part of the Chinese state. By contrast, the Republic of China government translated it as "Zhonghua Taipei" (simplified Chinese :中华台北; traditional Chinese :中華臺北; pinyin :Zhōnghuá Táiběi) in Chinese, which references the term "China" as the cultural or ethnic entity, rather than the state. In 1981 the former Republic of China Olympic Committee confirmed its acceptance of the Nagoya resolution, but translated "Chinese Taipei" to "Zhonghua Taipei". In 1989, the two Olympic committees signed a pact in Hong Kong, clearly defining the use of "Zhonghua Taipei". The PRC had been observing the Hong Kong pact and using "Zhonghua Taipei" in stipulated areas ever since, but on other occasions, the version of "Zhongguo Taipei" was still in use following past practice, especially in official media references. In the London 2012 Olympic Games opening ceremony, when each country's team proceeds in alphabetical order in English (the host country's language), the Chinese Taipei (TPE) team did not follow China (CHN), but instead took a place in the procession as if its name were "Taipei" or Taiwan, following Syria and preceding Tajikistan instead. In Beijing 2008 it followed Japan and preceded the Central African Republic. This ordering was based on the stroke number and order of each team's name in simplified Chinese, the official script in the PRC. The title "Chinese Taipei" leads some people to believe that "Taipei" is a country. During the 2004 Summer Olympics in Athens, while Chinese and Taiwanese news channels referred to the team as Chinese Taipei, most foreign outlets simply called the team Taiwan. For sporting events, the ROC team is abbreviated in Taiwan as the Zhonghua Team (中華隊; Zhonghua being a more cultural rather than political variation of the term China), which, in effect, labels it the "Chinese Team", in the sense of a "team that is of Chinese ethnicity" as opposed to a "team from China". International organizations in which the PRC participates generally do not recognize Taiwan or allow its membership. The ROC is recognized by 16 UN member states and the Holy See. 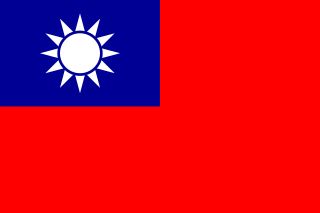 Thus, for example, whenever the United Nations makes reference to Taiwan, which does not appear on its member countries list,  it uses the designation "Taiwan, Province of China", and organizations that follow UN standards usually do the same, such as the International Organization for Standardization in its listing of ISO 3166-1 country codes. Certain web-based postal address programs also label the country designation name for Taiwan as "Taiwan, Province of China". 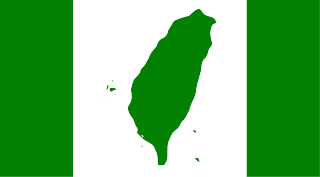 Inter-governmental organizations use a variety of terms to designate Taiwan. Some non-governmental organizations which the PRC does not participate in continue to use "China" or the "Republic of China". The World Organization of the Scout Movement is one of few international organizations that continue to use the name of "Republic of China", and the ROC affiliate as the Scouts of China. This is because such Scouting in Mainland China is very limited or not really active. Likewise, Freemasonry is outlawed in the PRC and thus the Grand Lodge of China is based in Taiwan. The Taiwan independence movement is a political movement to pursue formal independence of Taiwan. This narrow-focus article concerns Chinese Olympic politics only. This is the politics, historical and present-day, surrounding the participation in the Olympics of the Chinese Olympic Team, the Chinese Taipei Olympic Team and to a much lesser extent the Hong Kong Olympic Team. This article is not concerned with Sport. Events in the year 1949 in China. 1 2 3 4 5 6 Catherine K. Lin (5 August 2008). "How 'Chinese Taipei' came about". Taipei Times. ↑ Eyal Propper. "How China Views its National Security," Archived 25 March 2012 at the Wayback Machine The Israel Journal of Foreign Affairs, May 2008. 1 2 Liu, Chin-Ping (2007). 1981年奧會模式簽訂之始末 (PDF) (in Chinese). Archived from the original (PDF) on 9 March 2012. Retrieved 8 July 2010. ↑ Chao, Li-Yun (2 November 2001). 「中華台北」會籍名稱使用事略 (in Chinese). National Policy Foundation. Archived from the original on 24 July 2011. Retrieved 8 July 2010. ↑ "Winter Olympic Games Lake Placid, USA, 1980". Kiat.net. Archived from the original on 17 June 2012. Retrieved 27 July 2013. ↑ However, the name of the committee in Chinese continues to be "中華奧林匹克委員會" ("Chinese Olympic Committee"): see Official Website. ↑ Joe Hung (10 January 2002). "Chinese Taipei". National Policy Foundation. Archived from the original on 24 July 2011. Retrieved 9 July 2010. 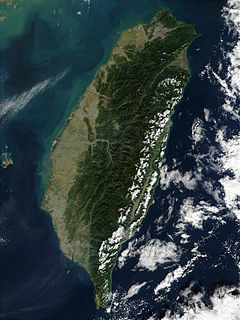 ↑ "Mainland plea to end Taiwan's name issue". China Daily. 24 July 2008. ↑ "Taiwanese team will compete as 'Chinese Taipei', Beijing confirms". South China Morning Post. 24 July 2008. Archived from the original on 16 July 2011. ↑ "Lions Club Locator". Lions Clubs International. November 11, 2008. Archived from the original on December 19, 2008. 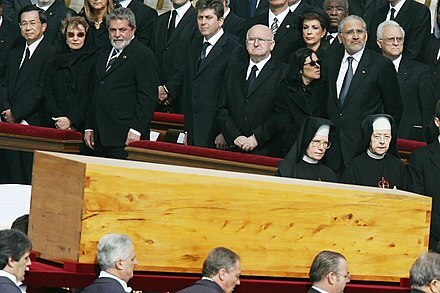 Retrieved November 22, 2008. ↑ "IMF reports and publications arranged by country". International Monetary Fund. 11 November 2008. ↑ "Member Countries & Regions of the World Bank". The World Bank. 11 November 2008. ↑ "ICSU National Unions". ICSU. 11 November 2008. Archived from the original on 29 January 2009. Retrieved 22 November 2008. ↑ "APEC FAQ: Who are the members of APEC?". Asia Pacific Economic Cooperation. 11 November 2008. Archived from the original on 11 May 2008. ↑ Katie Rei d (18 May 2009). "Taiwan hopes WHO assembly will help boost its profile". Reuters. Retrieved 11 June 2013. ↑ "Miss World 2008 Contestants". Miss World. 11 November 2008. Archived from the original on 2 July 2014. ↑ "Chen Szu-yu with her two sashes". ↑ "Beauty queen renamed". Taipei Times. 23 May 2003. Retrieved 9 August 2012. ↑ "85 Beauties Set Their Sights on 'Miss Earth 2008' Crown". Oh My News. 11 November 2008. ↑ "Rest in peace, `Chinese Taipei'". Taipei Times. 1 September 2004. ↑ "Taiwanese identity reaches record high". Taipei Times. 28 May 2016. ↑ Chang, Rich (12 March 2006). "'Taiwan identity' growing: study". Taipei Times. p. 3. ↑ "Many Young Taiwanese Want to Go to the Olympics With a New Flag and Anthem". Time Magazine. 11 November 2016. ↑ ""Taiwan is sick and tired of competing as 'Chinese Taipei' in global sporting events"". Quartz. 8 August 2017. ↑ "NPP blasts 'absurd' English guide to Universiade". Taipei Times. 9 August 2017. ↑ "UNIVERSIADE: 'Taiwan' back in English media guide". Focus Taiwan. 11 August 2017. 1 2 3 "Taipei Universiade: 'Chinese Taipei' brochure slammed". Taipei Times. 13 August 2017. ↑ "Taipei Universiade: Groups call for use of 'Taiwan' at Universiade". Taipei Times. 13 August 2017. 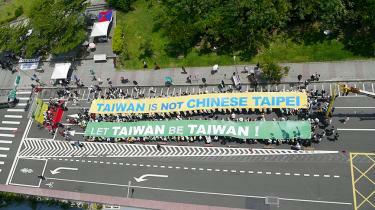 ↑ "'Taiwan is not Chinese Taipei' and 'Let Taiwan be Taiwan' banners". Taipei Times. 13 August 2017. ↑ "What's in a Name? For Taiwan, Preparing for the Spotlight, a Lot". The New York Times. 16 August 2017. ↑ "The Latest: Taiwanese reject gay marriage, new Olympic name". The Washington Post. 24 November 2018. Retrieved 29 November 2018. ↑ "MEMBER INFORMATION: Separate Customs Territory of Taiwan, Penghu, Kinmen and Matsu (Chinese Taipei) and the WTO". World Trade Organization. 18 November 2008. Retrieved 27 July 2013. ↑ "United Nations Infonation". The United Nations. 11 November 2008. ↑ "China forbids terms 'Formosa' and 'Republic of China'". Taiwan News. 21 July 2017. ↑ Although such organizations are established in mainland, there is no or less governmental or CPC support to them. ↑ Basten, Stuart (2013). "Redefining "old age" and "dependency" in the East Asian social policy narrative". Asian Social Policy and Social Work Review. ↑ "2015 Revision of World Population Prospects". United Nations Department of Economic and Social Affairs . 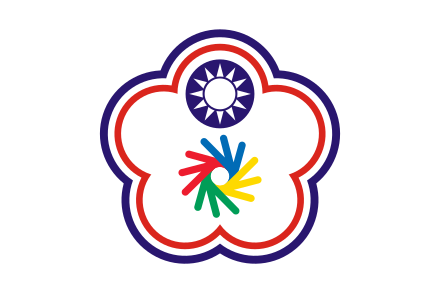 Wikimedia Commons has media related to Flags of Chinese Taipei .